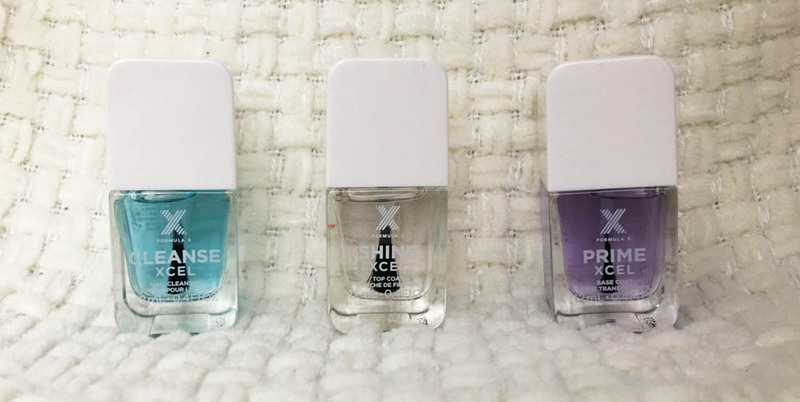 You may or may not already know, but I previously wrote about my fave base and top coat combo. Today, I bring to you an even better combination of products for an amazing mani! If you follow me on snapchat (@missalenaa), you know I've been raving about how long-lasting my polish has been lately! 1. Cleanse. This is like one of those products nail salons use right after they moisturize your hands/cuticles and before they apply any polish. It helps to remove all oils off of your nail bed so that polish is able to stick onto your nail a bit better. Truth be told, I love it but it's a bit sketchy because I feel like it just dries out your nail bed (which, besides to help polish stick, can't be good, right?). 2. Prime. 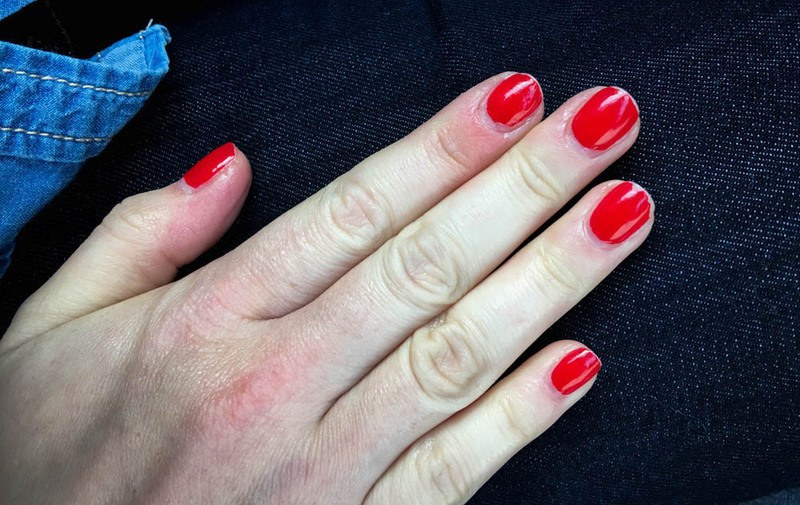 This base coat is said to have keratin and other agents that help with bonding the nail color to prevent early chipping. 3. Color. Pretty sure this is self explanatory. The color featured in my photo is TGIF - a fun coral pink. 4. Shine. Formula X claims that it provides gel-like finish and shine. Is this accurate? Fortunately, yes it is. The top coat in this last step feels a tiny bit more like a gel-like finish as it is drying and dries super quick! I must say, I oftentimes have issues with bubbles showing up on my nails after painting them. However, I have not run into any bubbles while using this system! Unfortunately, despite me still loving the brushes in this system, one thing to note with the brush for the "Clean" step is that it tends to separate a bit - as shown in the photo below. You're probably curious about how well Formula X keeps on its "10 day wear" promise. Oh it keeps its promise, alright! I noticed a chip on my nail on day 11! ELEVEN! How incredible is that?! That's unheard of (unless you're wearing gel polish)! There was some wear on the tips of my nails after about a week, but absolutely no chips until day 11. Don't believe me? You should've been following me on snapchat earlier this month! 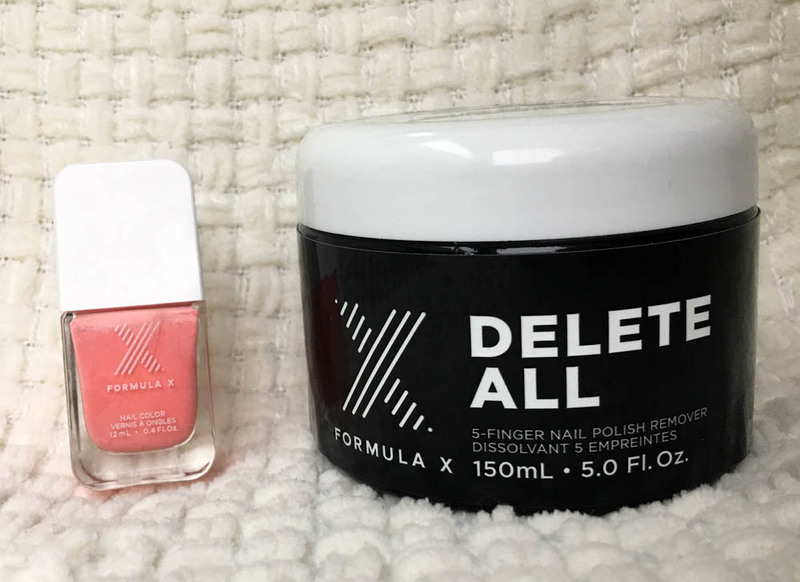 Being someone who despises chips and can't keep themselves from scratching/peeling polish off once one tiny chip occurs, Formula X also provided their Delete All polish remover. Let me tell you: this is SO fun to use! You basically insert your five fingers into the container and, when you pull them out, they're clean! How amazing and easy does that sound?! What have been some of your fave nail products lately? I'd love to hear what you are loving and discovering!